Jasmine is a freshman from Seoul, South Korea. Jasmine plans to major in Government or Sociology at Dartmouth, and also has an interest in Economics and French. Jasmine decided to join the D because of her love of writing and of the life experiences she learned from being the editor on her high school paper. In her spare time, Jasmine likes to travel and learn about different cultures, especially through cuisine, architecture and fashion. 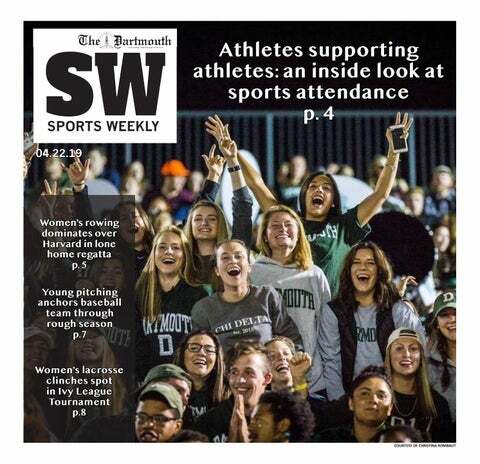 Prospective Dartmouth students and parents arrive wide-eyed at the College after traveling far from their homes to reach the quaint town of Hanover, New Hampshire. The Organizational Adjudication Committee suspended Kappa Kappa Kappa fraternity for three terms, beginning this past fall, after the fraternity admitted to multiple violations of the College’s hazing and alcohol policy. Earlier this month, molecular biologist and American Association for the Advancement of Science fellow James Bliska joined the Geisel School of Medicine as a professor in microbiology and immunology as well as the Personalized Treatments for Cystic Fibrosis Cluster’s senior lead faculty member. An upcoming Dartmouth Outing Club trip to the Swiss Alps will try to address gender discrepancies in the high-level outdoors. The William Jewett Tucker Center and United Campus Ministers organized a Day of Peace on Oct. 30 to offer an opportunity to meet others of different backgrounds and create a space of healing through prayers for those impacted by mental health issues, natural disasters, immigration, racial injustice and gun violence. Venmo, the PayPal-owned peer-to-peer payments application, is now estimated to have around seven million users, including many Dartmouth students. With the conclusion of men’s fall fraternity recruitment, fraternities have finished their rush processes, and new members are beginning to start a new segment of their lives as affiliates of Greek life.